Our final destination on the east coast was Washington DC. The city is big and bustling, but I found that from most places we visited, we could still view the Washington Monument, which allowed me to get my bearings. 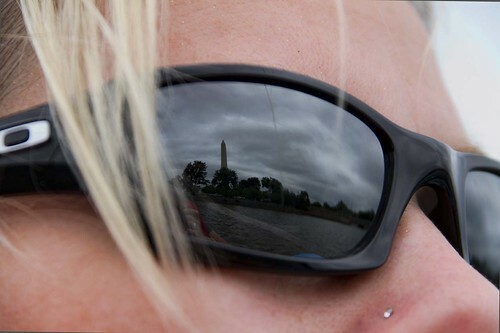 Standing 555 feet high, the Washington Monument is the world's tallest stone structure. Completed in 1884, it commemorates our first president, George Washington. It is pretty impressive. Here, it is still "with us" as we paddle around the Potomac. Very good photo, I find it a really original idea. Thanks for sharing.